℗ 2010 The Copyright in this sound recording is owned by Kamiling Co under exclusive licence to Warner Music Poland, A Warner Music Group Company. 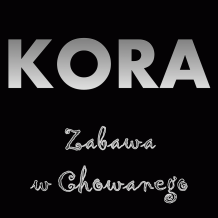 © 2010 Warner Music Poland, A Warner Music Group Company. This Labelcopy information is the subject of Copyright Protection. All rights reserved.